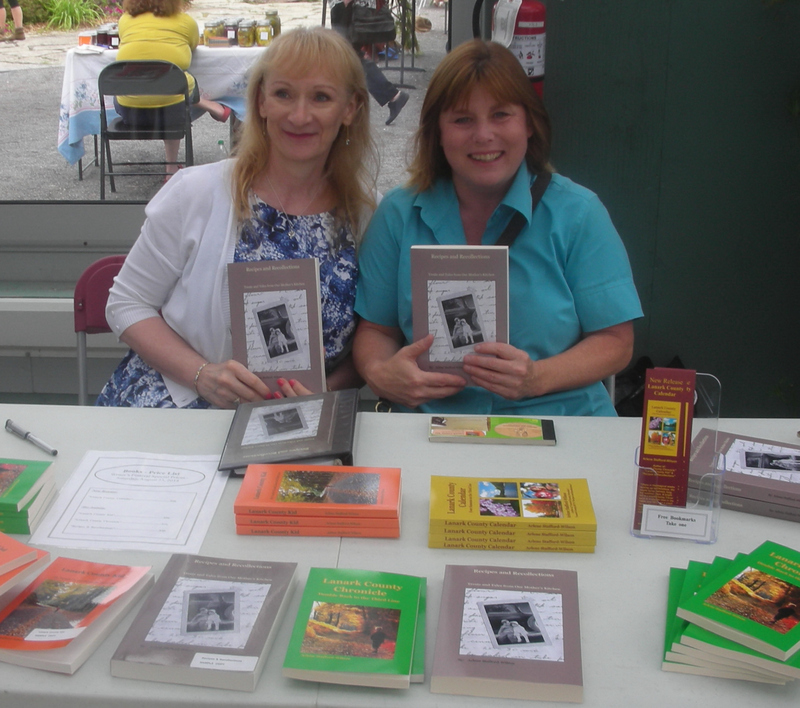 The written word came to life at the International Writer’s Festival in Perth on Saturday. 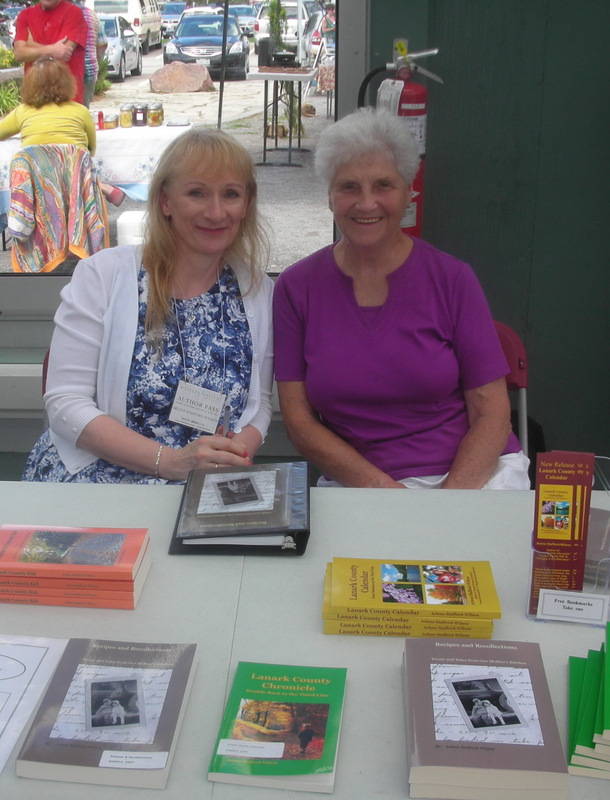 Under sunny skies, perched along the historic Tay Basin, the Crystal Palace was home to nearly a dozen authors showcasing their work and chatting with locals and visitors alike. The event was part of a weekend of activities which included a writing contest and some notable guest speakers from the writing community. 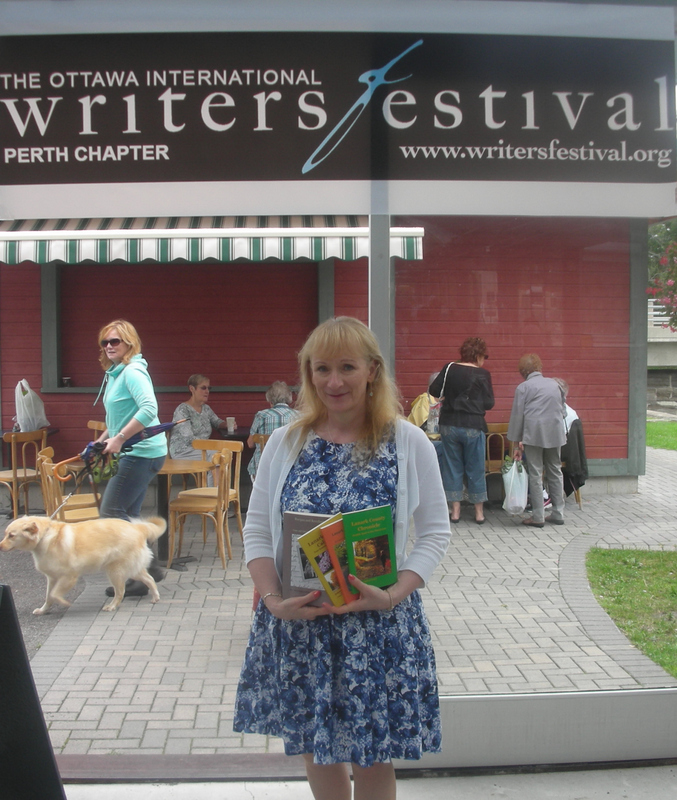 Many thanks to the Chamber of Commerce along with the Ottawa International Writers Festival, the Farmer’s Market, the Town of Perth, the Perth & District Union Public Library, the BIA , Heritage Perth, The Book Nook and many local businesses who organized and sponsored this first-time event in the newly formed Perth Chapter of the well-known International Writers Festival. 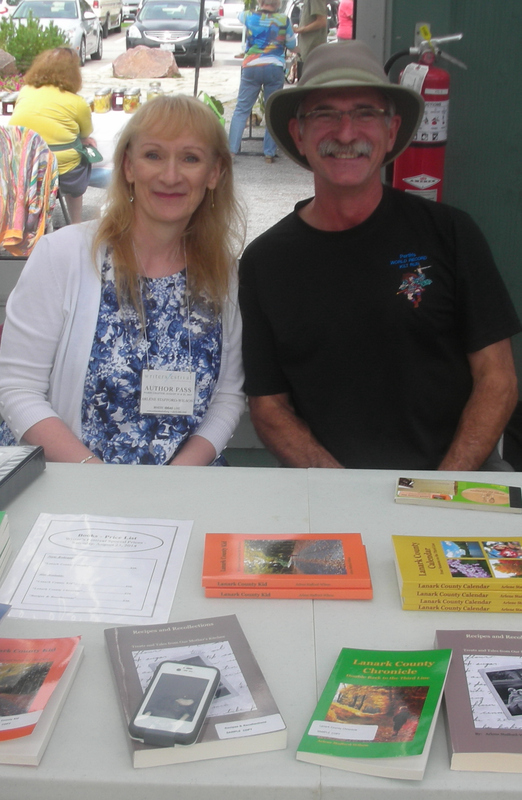 We were pleased to be situated with author Gene Bassett to our right and with Irene Spence and Ron Shaw to our left. Irene was the recipient of the Queen’s Diamond Jubilee award for her many years of service in promoting history and heritage and is active at Archives Lanark as well as the Lanark County Genealogical Society. 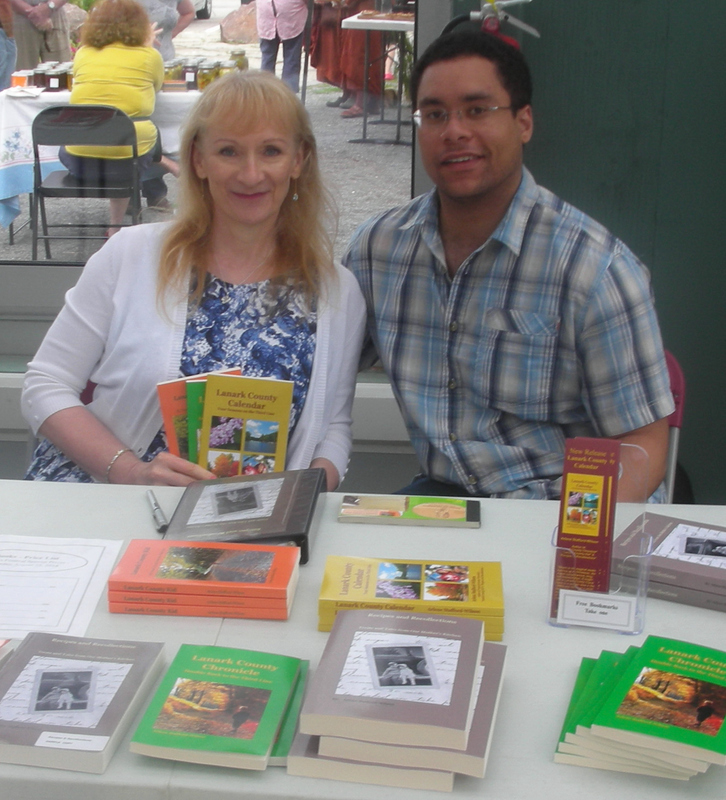 It was a pleasure meeting author and instructor Lee Ann Eckhardt Smith, member of the Board of Directors of the Ottawa International Writers Festival. 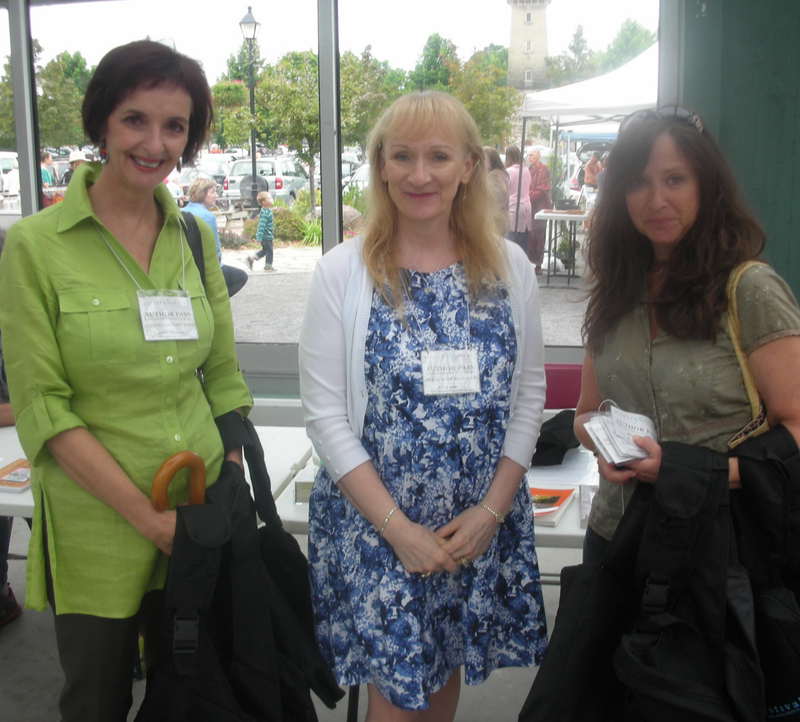 Lee Ann, along with Leslie Wallack of The Book Nook presented each author with a smart black carry-all featuring the Writer’s Festival logo, a writing journal, pen and decorative ceramic keepsake. One of the highlights of the day were visits from Carol-Ann McDougall and husband Ken who are building their dream home along the picturesque shores of Rideau Ferry. Another delightful visitor was an old friend and neighbour from the third line – Dr. Steve Scott. It was a wonderful surprise to connect once again and have a quick chat. The day was a great success and we look forward to future events with the International Writer’s Festival! 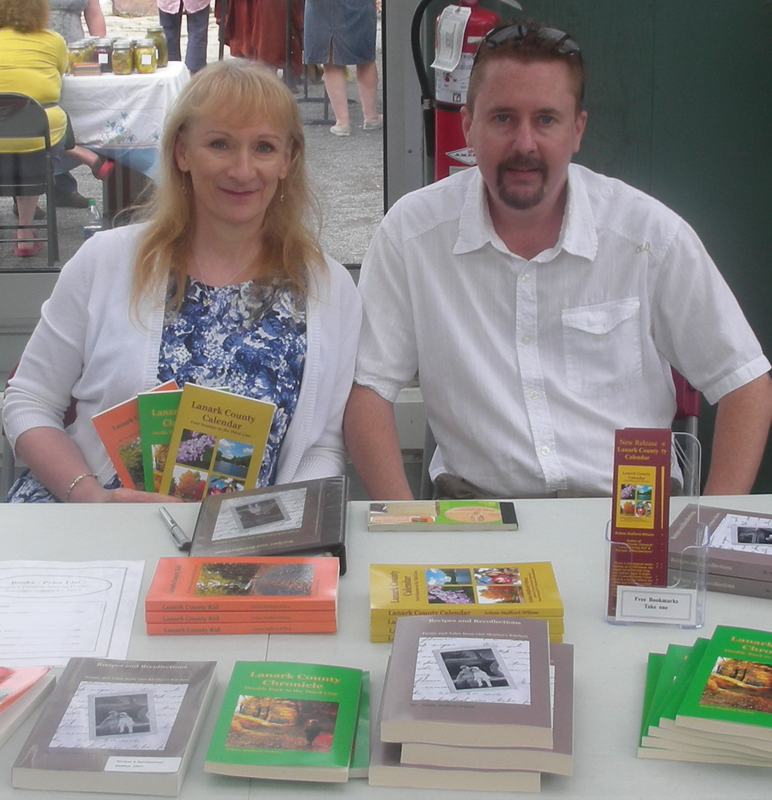 This entry was posted in Author Events & Book Signings, Uncategorized and tagged Arlene Stafford-Wilson, August 23 2014, Canadian Author, Heritage Perth, Lanark County author, Ottawa International Writer's Festival, Perth author, Perth Business Association, Perth Chapter International Writers Festival, Perth Tourism, The Book Nook Perth Ontario, Writers Festival. ← International Writer’s Festival Comes to Perth! 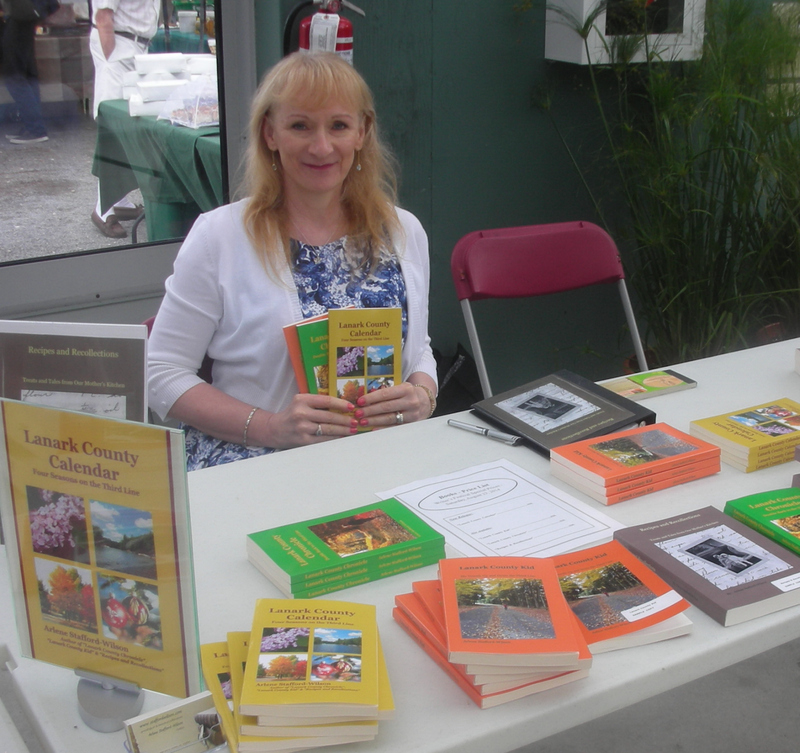 It was a good day for local authors though I was disappointed more were not allowed to participate. Perhaps next year the organizers will post for interest. Congratulations with your display though. Thank-you! 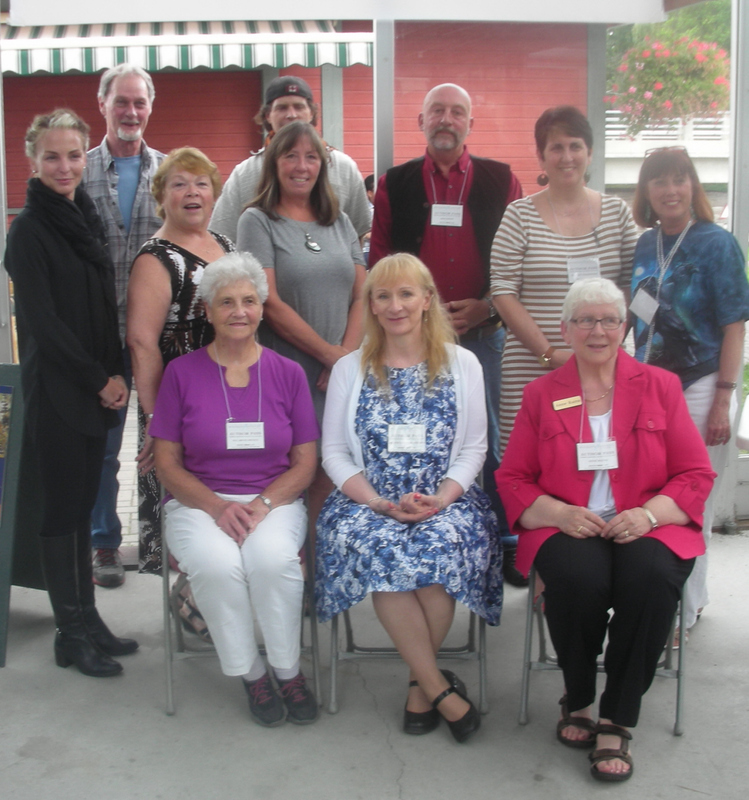 The sponsors and organizers were very pleased with the turnout for the first ever Writer’s Festival in Perth, and hopefully next year they will expand on the number of authors invited to participate.